I’m sure we’ve all been there. You’ve had the significant other who’s a little needy and can’t stand to be away from you for more than five minutes at a time, or the moocher who wants to crash on your couch all day dressed in nothing more than their underwear and dorito detritus. Maybe you, too, have woken up to someone who didn’t seem quite so bug-eyed and scrawny in the dark. The only thing worse than one of these is, well, all three of these at once. 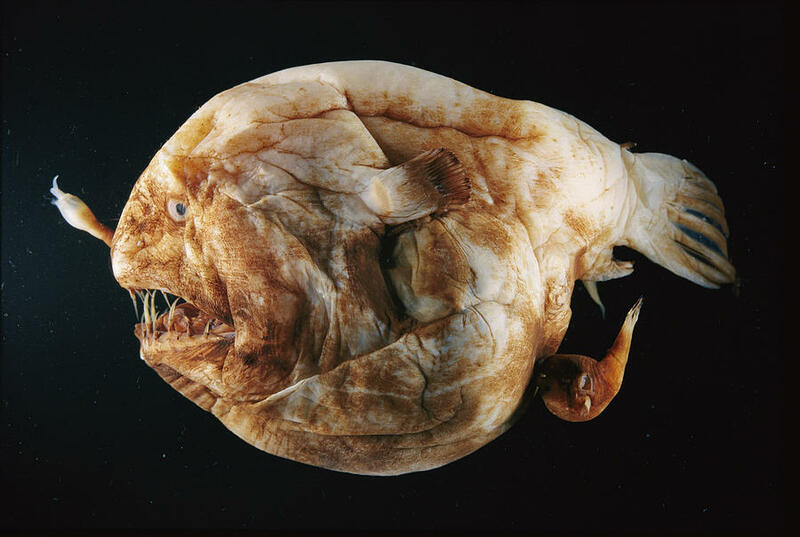 Such is the curse of the female deep sea anglerfish. Shoemaker, H. (1958). A female ceratioid angler, cryptopsaras couesi gill, from the gulf of mexico, bearing three parasitic males. Copeia, 1958(2), 143-145.